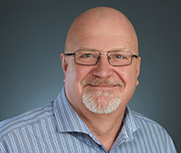 His extensive professional experience, outstanding negotiation skills, and an extremely thorough knowledge of the Greater Vancouver real estate market, makes Bob Michor one of the most capable realtors in the area. He’s got all the skills needed for your optimal success. If you’re looking for a new home anywhere in Greater Vancouver, or even a more rural setting like Whistler, Squamish and more, Bob knows the entire region exceptionally well because he’s lived and worked there for over 25 years. Depending on the location you’re looking for, he also knows all the best agents in the area to refer you to, if your ideal locale happens to be outside his preferred comfort zone. One of the most desirable retirement and vacation destinations in the world, the Sunshine Coast has a lot to offer. The region is still a surprisingly well kept secret, partly because it is cut off from the Greater Vancouver mainland by the rugged, tree-covered Coast Mountains, and is only accessible by boat or seaplane. This picturesque coastline is also overflowing with culture and adventure for all sorts, from art festivals, scenic waterfront trails, all the outdoor sports and natural wonder you can imagine, to car clubs, historic towns, first-nation heritage and fine dining – people from all over the world and even other parts of Canada are frequently amazed and delighted by everything the Sunshine Coast has to offer. The BBC published a great article in their travel section that you can read here, and Canada.com published another one here that you might find interesting. For anyone who wants to live close to Vancouver, but not right in the city, the Sunshine Coast can be the perfect place. It’s only a 35-40 minute ferry-ride to downtown Vancouver! Whether you are patiently looking for the perfect retirement property, or you need to sell, downgrade, or move on with life quickly. Bob will help you build your dreams and take life’s next step. You can count on Bob to invest the time needed to really understand your lifestyle goals and also, to have all the localized knowledge to help you with your next big geographical and life-move, and get precisely what you are looking for. Bob’s razor-sharp analytical abilities are pleasantly balanced by a warm sense of humor and a down to earth approach. The world is changing fast and in real estate like most things, you need the professional support of someone who works hard to stay on top of technology, the market trends, and industry’s constant evolution. But people are still human beings, so we appreciate directness, affability, genuine care in service, and the odd laugh. Thankfully Bob’s always been a straight shooter with a sense of humor.